By Peter Anderson 4 Comments - The content of this website often contains affiliate links and I may be compensated if you buy through those links (at no cost to you!). Learn more about how we make money. Last edited April 19, 2019 . We're always on the lookout for ways to improve our bottom line. One way we do that is to never pay full price, and to take advantage of all the easy ways there are to get free Amazon gift cards. Why pay full price for something if you can go online and get a free Amazon gift code? I've been trying out a number of websites in the past year or two that ask you to do things in order to earn free Amazon gift card codes. 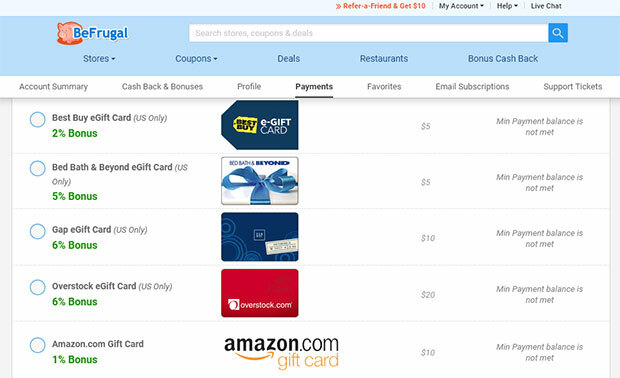 Some sites will ask you to shop through their portal in order to earn Amazon gift cards. Others will ask you to fill out surveys, or sign up for free services. Still others will ask you to write reviews, or refer other users to their service. What they all have in common is that they're willing to pay you in free Amazon gift cards. I know these sites work because I've used all them to one degree or another. Take a look at my Amazon account after a recent round of gift card entries! Amazon gift cards are great because you can use them to buy just about anything you want, from clothes, food and toiletries, to cameras, phones and televisions. They're convenient, flexible and almost as good as cash. The fact that people are looking to find ways to get these gift cards for free is no big surprise. So the question is, where can you get free Amazon gift card codes fast, with the least amount of hassle? Let's take a look. There are a thousand and one places where you can win free Amazon gift cards, but the ones I've listed below are some of the best. Why are they the best? They send the free Amazon gift codes fast. They allow you to redeem for free gift cards without having to earn too much (Some sites have a high dollar threshold to receive a payout.). They are legitimate sites that will actually pay out. They are not a scam and won't leave you hanging. So without further ado, here are some of my favorite sites and services that will pay you in free Amazon gift cards. I've been using Swagbucks for several years in order to earn free Amazon gift cards via their site. Just sign up for Swagbucks for free, then earn SB points for answering surveys, watching videos, shopping online and more. You can then redeem your SB points for free Amazon gift cards, or gift cards from Target, Walmart, Starbucks and more. You can even get cash payments via PayPal or Visa reward cards. 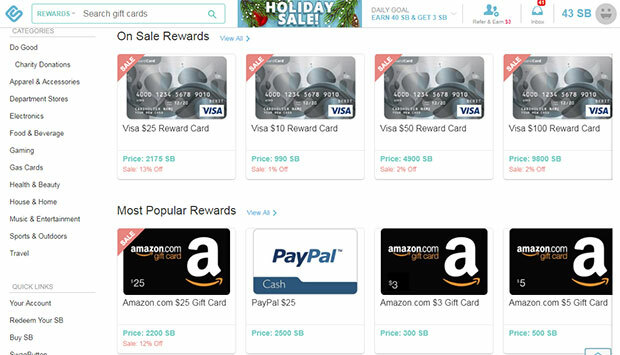 The nice thing with Swagbucks is that they require you to get a relatively low 300 points in order to get a $3 Amazon gift card, while many other sites require you to earn enough to get $10 or $20 worth of gift cards before redeeming. Amazon gift cards often go on sale at Swagbucks as well, and can be purchased for a reduced point rate. Because of this I'll often save my points until I see a gift card on sale, and get more for my points. Get a $5 bonus just for signing up for Swagbucks through our link when you earn 2,500 SB points within the first 60 days. Personal Capital is a free financial app that allows you track your entire financial situation from assets and debts, to investment accounts and home values. I've been using Personal Capital myself for several years now and love it. It is an integral part of helping me to create my financial plan. Read our full Personal Capital review here. When you sign up for the free account with Personal Capital through our link below they are offering a free $20 Amazon gift card. All you have to do is link at least one valid investment account (brokerage, 401k, IRA, etc) containing a balance of more than $1000 within 30 days of registering. That shouldn't be a problem for most people. It's an easy free $20 Amazon gift card! Ibotta is a cash back and rewards app for your Android or iOS device. When you sign up and open the app, you'll see a variety of available cash back offers at stores you're shopping at anyway, both in-store and online. The way I use it is to just go into the app before I head out to the store, and look at the available offers for the store I'm heading to. If they have a cash back offer available for something I need, I'll add that offer to my account. When you get home from the store, you just take a picture of your receipt, and you'll get the cash added to your account in short order. 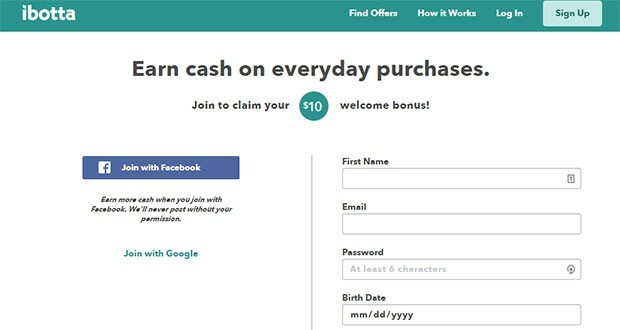 You can get a $10 bonus just for signing up for Ibotta through our link and activating your first offer within 15 days of signing up. Piece of cake – you'll be losing money if you don't sign up! You like money, right? Read a full Ibotta review here. Honey is a browser extension that enables you to save money with no effort when you shop online by automatically applying all their known coupon codes when you are checking out. It also helps you to save money by allowing you to check the price trend of Amazon items, so you can see if the item is currently priced high or low. If it's high you can add it to your “droplist” and be notified when the price goes back down. To get free Amazon gift cards with Honey you can do a couple of things. 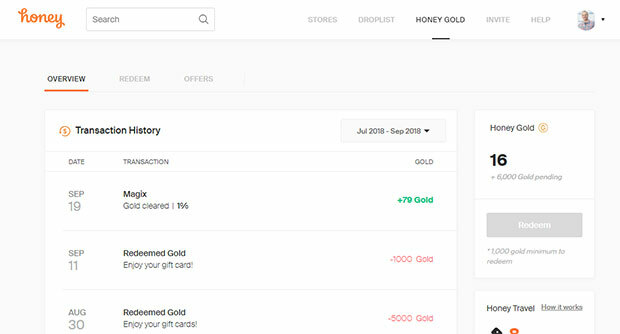 First, you can just activate a “Honey Gold” shopping session either through their browser extension, or through their site when shopping online. Once you do and you end up purchasing something, you'll earn Honey Gold points which can then be redeemed for Amazon gift cards. Another way to earn points is to refer other users. You'll get 500 points for each referred user. Once you've reached 1000 Honey Gold points you are able to redeem the points for a $10 Amazon gift card. You can also redeem your points for other gift cards including Target, Walmart and others. Read our full Honey review here. 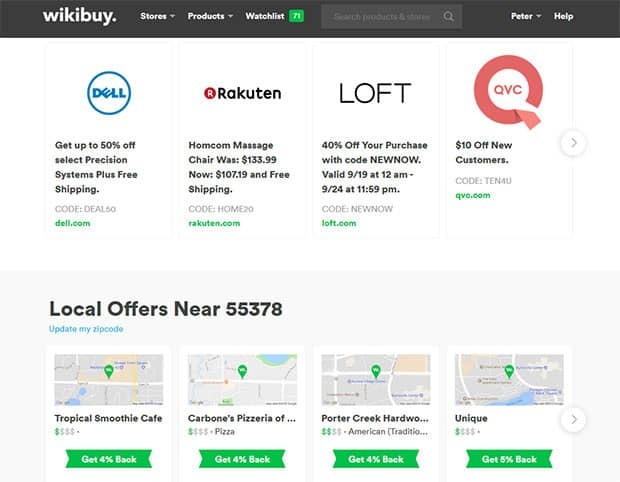 Similar to Honey, WikiBuy is a browser extension that you install in Chrome or Firefox and it helps you to find the best coupon code, the best price, and alerts when items you viewed go on sale. In addition you can shop online through their portal and get cash back credits that can then be redeemed for gift cards. The Chrome extension will also prompt you to enable cash back for websites when it's available. You can also earn credits by referring other users. When someone you referred signs up and makes a purchase, you'll get $5 in credits! Once you've earned enough credits by referring other users or shopping, just go to their site and click on the “redeem” tab. There you can redeem your credits for any number of available gift cards. The last feature I really like when using the extension is when you're shopping on Amazon it will tell you when you can find the same item for less on another website. It will insert a button that you can click on and it will take you to a page where you can view lower prices on that item, and where it's located. Very helpful. 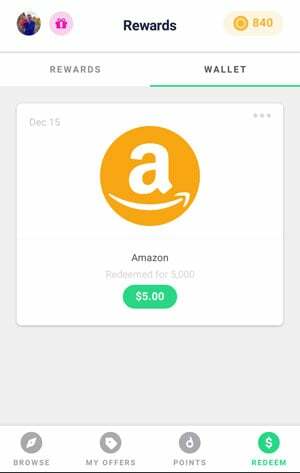 The Drop app makes it super simple to earn Amazon gift cards, in fact I had a $5 gift card sent to my email within a few minutes of signing up. So how does it work? First, you need to download the app to your phone. Then, just link your credit or debit card to your new account. Then you can view cash back offers within the app at a variety of stores like Target, Best Buy, Walmart and more. Take advantage of the shopping offers in the app and buy using your linked card. You can also fill out surveys and do other tasks to get bonus points. When you use the app to shop and do other tasks you'll earn points that are good towards a bunch of different rewards, one of which is an Amazon gift card. The Dosh app helps you earn cash back on purchases you're making anyway. Plus when you sign up through our link you'll get a $5 bonus right off the bat when you link your first credit card. 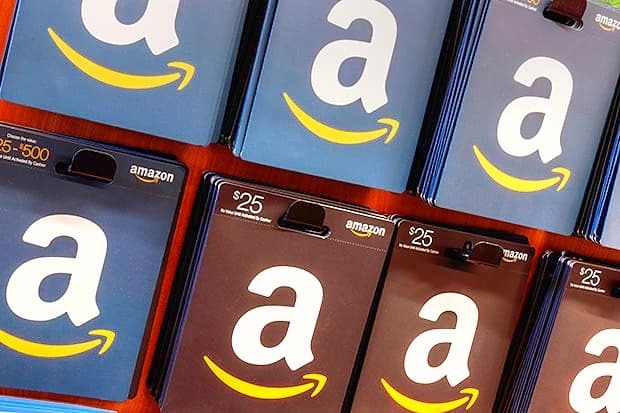 While technically you don't earn Amazon gift cards through Dosh, you can use the cash you earn to buy gift cards if you want, or just use it for anything. So how to get started? Then when signing up, use my code: PETERA18. The code will give you a $5 credit which you can redeem later on for cash. Once you've signed up and earned your $5 bonus, just link your credit or debit cards to your new account. 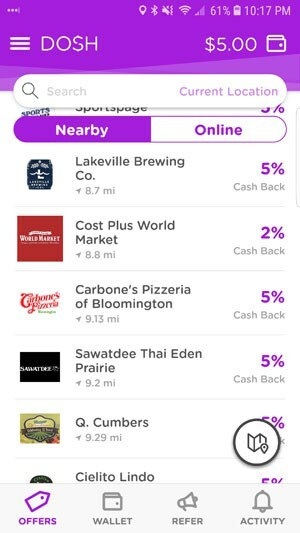 Then you can view cash back offers within the app at a variety of stores like Pizza Hut, Costco, local restaurants and more. Take advantage of the shopping offers in the app to shop online, or buy in store using your linked card. When your balance reaches $25, you can cash out via PayPal or a linked bank account. I just reached my first $25 while writing this, and cashed out no problem! Prize Rebel is a site where you can get paid in free Amazon gift cards (as well as PayPal, Visa gift cards and other methods) to do things like answer survey questions, complete offers, watch videos and more. Once you have enough points you can redeem them for an Amazon gift card, PayPal payment, or a host of other redemption options. One cool thing is that Amazon gift cards have an ultra low redemption level of 200 points for a $2 gift card, so you can cash out once you reach that level. It shouldn't be too hard. You can also earn points in your account by referring other users. When a user you referred earns points on the site, you'll earn 20% of what they're making. So if they earn 100 points for filling out surveys, you'll get 20 points. Once you've earned a certain level of points your referral percentage can go up to 25% or 30% as well, so it pays to refer as many people as you can. 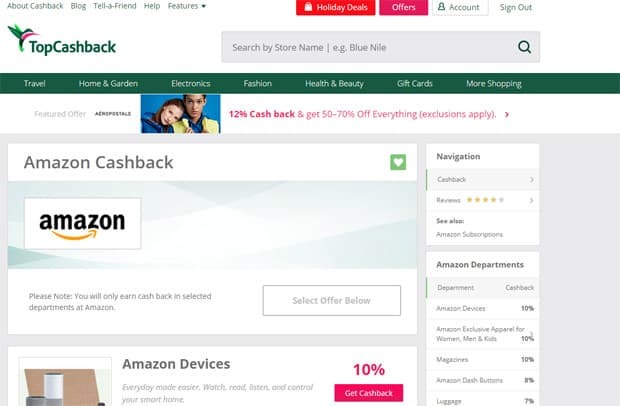 TopCashBack is another cash back shopping site where when you shop through their site, you'll get a set cash back rate that you can convert to cash or Amazon payouts. Unlike some other cash back sites TopCashBack promotes that they give 100% of the referral commissions back to you, the user. So if they earn 5% on the sale of something, they give it all back to you. They make their money on other advertising, sponsorships and affiliate bonuses. 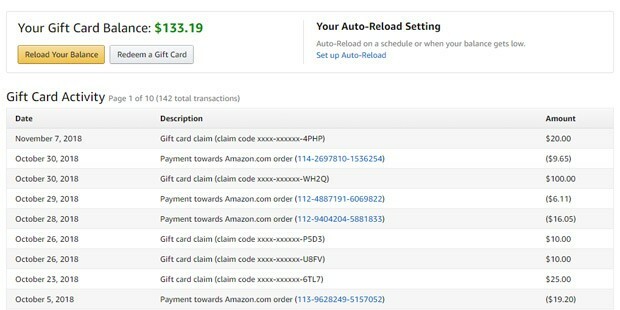 Not only can you get cash back that you can turn into free Amazon gift cards (or cash), but you can also refer new users to the site. Refer a friend and if they sign up and earn at least $10 cashback, you'll get $15 added to your account! One of the best perks of this site is that the payout threshold for the most popular payout gift cards and cash payouts is $0.01. So you can cashout as soon as you want. Cash Crate is a site that I've used for years, in fact it was one of the first cash back sites I wrote about back when I first started blogging. Cash Crate allows you to earn Amazon gift cards or other payouts by completing surveys, watching videos, playing games and more. I've earned $10,749 since I joined the site back in 2008. I've heard rumblings that they may be closing their doors, but for now they're still good to go. Read our full Cash Crate review here. The Job Spotter app by Indeed pays you for doing nothing more than opening their app and taking pictures of “help wanted” signs that you see when you're out and about. So how does it work? First, just install the app on your iOS or Android phone. Next, just explore your area looking for “help wanted” or “now hiring” signs. 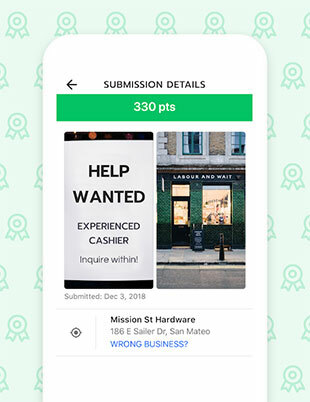 Submit a picture of both the help wanted sign and the storefront, and you'll collect points for each approved submission after it is approved by the folks at Indeed. On average you can earn anywhere from $0.05 to $1.50 for each submission, which you can put towards an Amazon gift card. You can redeem the points for Amazon gift cards at any time! 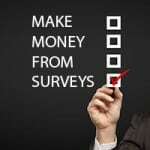 There are a bunch of survey sites out there that will allow you to sit down, take some of their surveys, and get credit that you can put towards Amazon gift cards and other rewards. Most of the sites that do surveys will only be available for U.S. panelists, so be sure before you sign up. BeFrugal.com is a cash back and coupons site that can help you to earn free Amazon gift cards for using their site on purchases you're making anyway. Shop through their portal and earn cash back at stores like Walmart, Amazon, Ebay and more. Make things even easier by installing their browser extension, which can alert you when cash back is available. You can cash out your earnings for an Amazon gift card when you have earned as little as $10, and you'll get a 1% bonus for cashing out with an Amazon gift card! They also have gift cards from other popular retailers that can give you even larger bonuses! If you just prefer cash, you can cash out to a PayPal account, but with no bonus. Sign up for their site through our link, and get a $10 bonus, which can be redeemed once you've reached $25 in cash back. 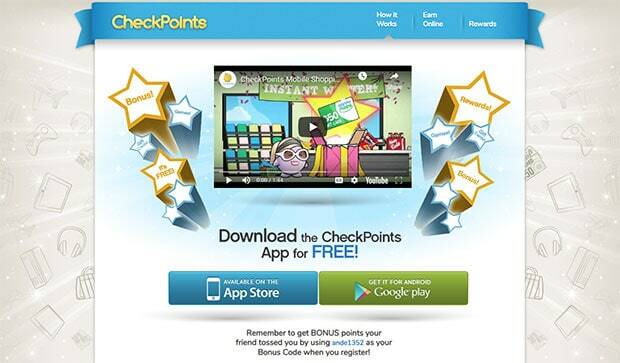 Collect points on CheckPoints when you watch videos, take quizzes, shop the web, complete offers, search and more. When you get enough points you can get rewards including gift cards from Amazon, Target, Walmart and more. They also have regular giveaways that include Amazon gift cards. Remember to get your bonus points when registering on the app by using code: ande1352 as your bonus code! Microsoft Rewards is a rewards program brought to you by Microsoft. They launched it to help promote their search engine, Bing. For every search that you perform while logged into Bing, you'll get 5 points. 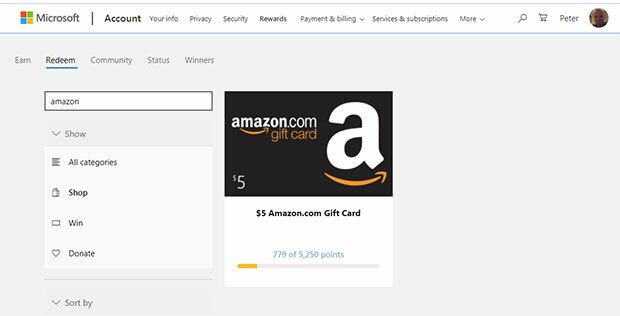 If you use Bing as your main search engine, before you know it you'll have enough credit to get an Amazon gift card. You can get a $5 Amazon gift card once you've reached 5,250 points. There are other ways to get points including taking quizzes, participating in daily offers, and answering poll questions among other things. 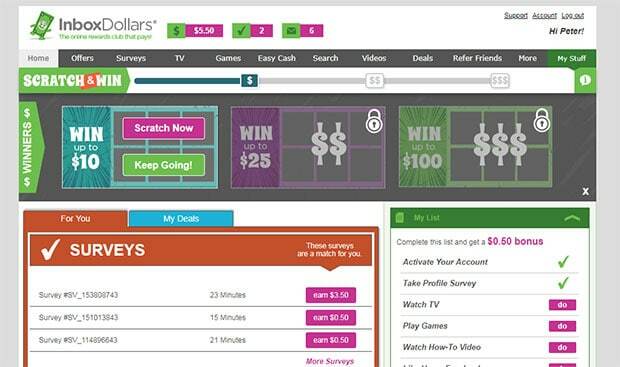 Inbox Dollars is another site that will pay you to take surveys, watch videos, play games and shop online for cash back. You can also earn a bonus each time a friend you referred signs up, and then earns money! You'll get a $1 bonus, and then 30% of your friend's earnings while they're active users. 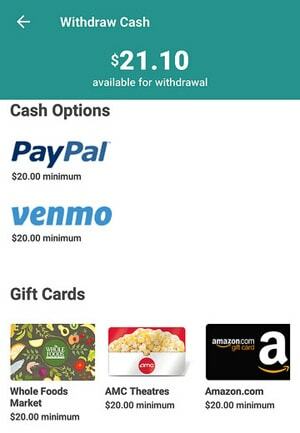 You do have to earn $30 to cash out to a gift card, so you'll need to be somewhat active. Dealspotr is a deals site where you can find coupon codes, sales and deals when you're shopping online. It's not your regular deals site, however. They also allow regular people to add deals to the site, and when you add a good deal that is verified by other users you can earn points. You can also earn points for doing things like referring other users. The points that you earn for adding deals and referring people can then be turned around and used to get free Amazon gift cards. You'll need approximately 10,000 points to redeem a $10 Amazon gift card reward. Read our full review of Dealspotr here. Mr Rebates is a cash back site that will pay you cash back when you shop through them. You can get paid out in the form of a physical check, PayPal payment, or if you prefer, an Amazon gift card. Just shop through their portal, via their browser extension or via their mobile app. When you make a purchase you'll be credited a cash back amount that you can then turn around and cash out to the payment method you prefer. You can earn even more by referring your friends to the service. If someone you refer purchases something and gets cash back, you'll get a 20% bonus of whatever their cash back was. So if they get $5 cash back, you'll get $1. 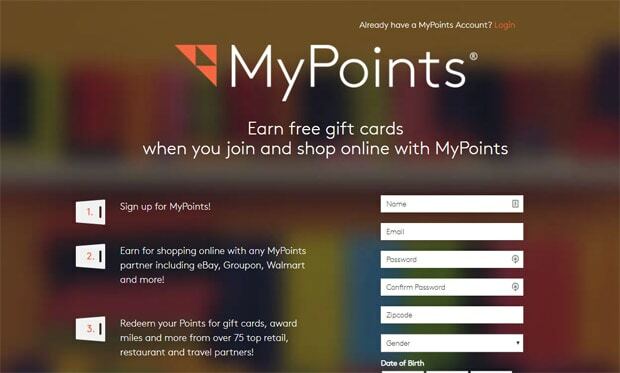 Just sign up for MyPoints and earn points when shopping through their site. Redeem your Points for gift cards, award miles and more from over 75 top retail, restaurant and travel partners! 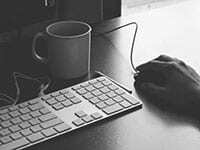 I recently discovered a site called Capterra Reviews where they ask people to do reviews of online services, products and software. Right now if you do a review through our link you'll get a free $5 Amazon gift card code once your review is published. 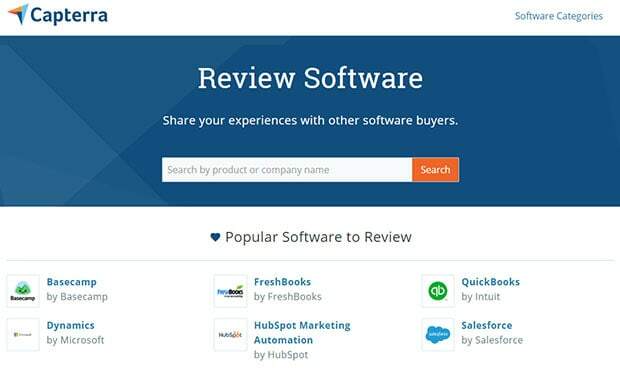 Just write a review for any number of popular products, sites or software. Once it is published, you'll receive your Amazon gift code in your email. For example, I just did reviews of Skype, Google Docs and Google Sheets and had my code in a very short time. You can now get a free Amazon Gift Card, directly from Amazon themselves. All you have to do is sign up for the Amazon credit card called the Amazon Prime Rewards Visa Signature Card by Chase, and you'll get a get a $70 Amazon.com gift card instantly upon credit card approval. The only catch, you have to be a Prime member. Not only do you get the free Amazon gift card, but you'll also get a credit card that gives 5% cash back on Amazon purchases, 2% at restaurants, gas stations and drug stores, and 1% everywhere else. 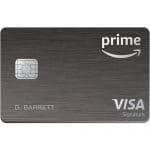 If you're not a prime member you can get a $50 Amazon gift card by signing up for Amazon Rewards Visa Signature Card by Chase. The cash back is only 3% at Amazon, but otherwise the cards are similar. Just make sure that you pay your credit card bill every month, and don't shop for things you don't need! Once you've earned your Amazon gift cards, it's easy to add them to your account for future use (you don't have to use them right away). 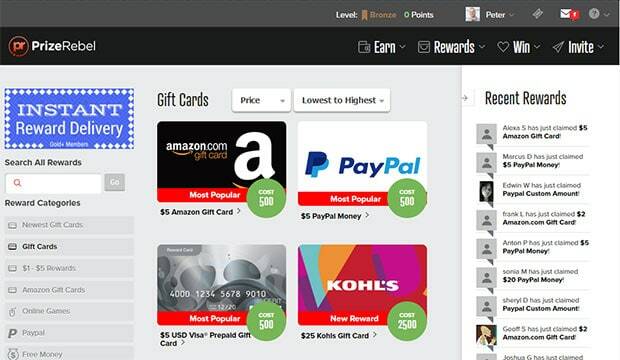 On the gift card redemption page, just enter your gift card claim code that you received in the box. Hit the “Apply to your balance” button and the gift card will be added to your “Current Gift Card Balance”. Here's mine as I was adding a bunch of claim codes recently. Once you've added your Amazon gift card codes to your account, the credit will be ready and waiting when you finally decide to buy something. Her's a hack that I have started using in order to triple my savings when shopping online. I use my Amazon gift cards that I've received in conjunction with several other providers to triple my savings. So not only am I saving by getting free gift cards, but I'm saving in other ways. Activate cash back: First, go to the shopping site where you want to save money. Activate your favorite cash back site (Like TopCashBack, Ebates, Swagbucks or Honey) by going through their site or via a browser extension. It should pop up automatically if you have it installed and ask you to “activate cash back”. To find out which cash back site has the best Cash Back percentage for your store, check out the site Cashback Monitor. Use Honey to get a coupon code: After you find the item you wanted to buy, add it to your cart and begin the checkout process. On the checkout page where they have a space for coupon codes, use the Honey browser extension to search for available coupon codes, to save you more money! RetailMeNot is another one to try for coupon codes. Buy a discounted gift card from Gift Card Granny: Once you figure out your order's total, if you don't have enough credit to purchase the item, then buy a gift card at Gift Card Granny to cover the cost. If you install their browser extension you can buy a gift card right there in your browser, and then add it to your order. 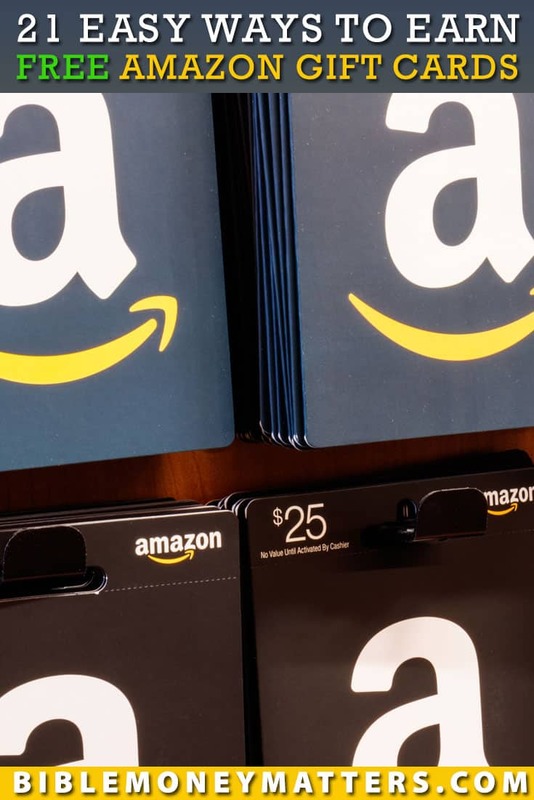 You can often find gift cards for popular retailers at a big discount, although Amazon cards are more popular and you can only usually find a small discount. When you get cash back, use a coupon code, and pay for your order with a discounted gift card, you'll triple the savings! After you've earned your gift cards, and purchased something, don't forget to take advantage if your delivery is late. If you contact Amazon you might be able to get an additional credit because of their on time delivery guarantee. Take that credit and use it to buy even more stuff with! Amazon gift cards are the best, we all love getting them because they're so flexible. There's a reason why so many companies are offering them as an incentive. Next to cash, they're the next best thing. If you want to earn free gift cards, they are out there, ripe for the picking. You just have to find which sites work the best for you. Once you find a few sites that work for you, you can be earning free gift cards in no time! Have other sites, services or programs where you earn free Amazon gift cards? Tell us what they are in the comments! Last Edited: 19th April 2019 The content of biblemoneymatters.com is for general information purposes only and does not constitute professional advice. Visitors to biblemoneymatters.com should not act upon the content or information without first seeking appropriate professional advice. In accordance with the latest FTC guidelines, we declare that we have a financial relationship with every company mentioned on this site. If you travel a lot and use rental cars, another great way to get Amazon gift cards is through Avis. 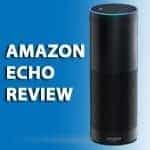 Make a reservation through their offer page (Google “Avis and Amazon”) and receive 10% off your reservation through your Amazon acct OR 20% off when you reserve via your Alexa device. All % off is paid out through gift cards when the reservation is complete. Love it. That sounds like a great idea, I hadn’t heard that one before. Thanks Aaron!